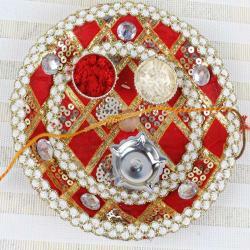 Product Consists: Rakhi Thread with Rakhisutra Gaj Ganesha Puja Thali. Celebrate the eve of Raksha Bandhan with your loved one and gift this amazing Rakhi special Thali to shower your love on them. 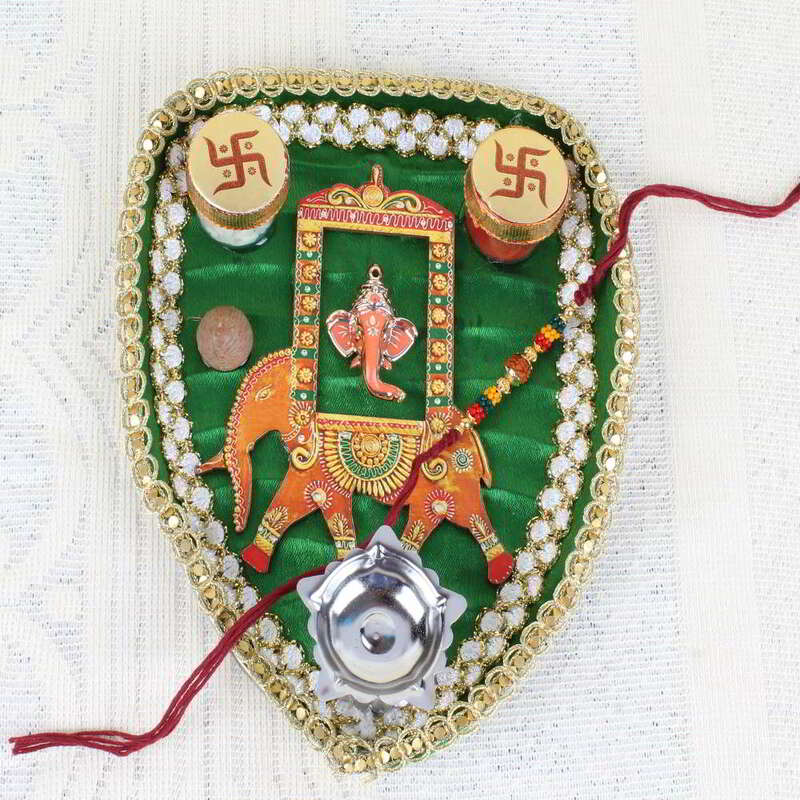 The pan shaped Gaj Ganesha puja thali with Rakhi thread and Rakshasutra and roli chawal container placed on it looks awesome. 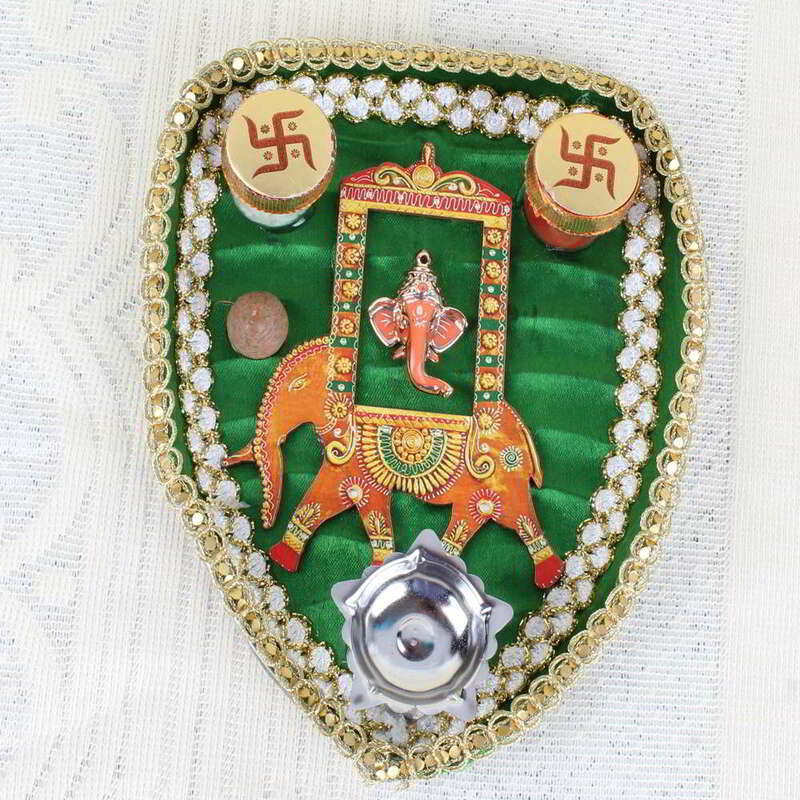 This is a perfect combo to make a feel of pious occasion and will be treasured for life. 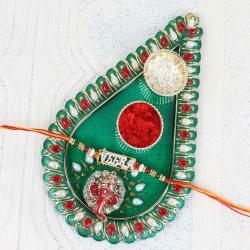 The multicolored Rakhi thread with colorful beads and Rudraksh at the middle looks amazing. 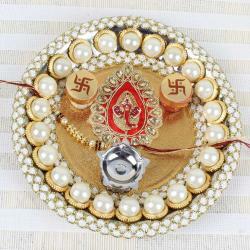 Make this special thali be a part of your celebrate and gift it to your loved one as a token of your love. 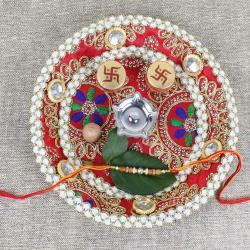 Product Consists: Rakhi Thread with Rakshasutra Gaj Ganesha Puja Thali.